- Patroness of TV, Laundry, Goldsmiths and Real Presence. 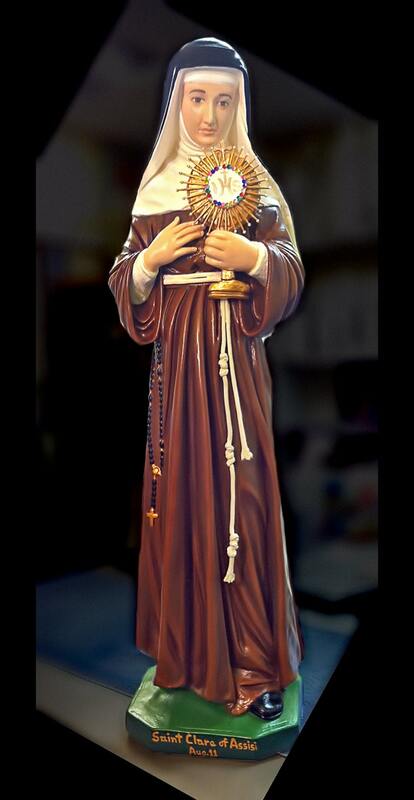 This 31” statue features a magnificent hand painted face and details such as fingernails and eyelashes, jeweled monstrance and Franciscan rope. All our statues are handmade in the USA and made to order. Please allow 5-10 weeks for us to make and ship your beautiful statue. 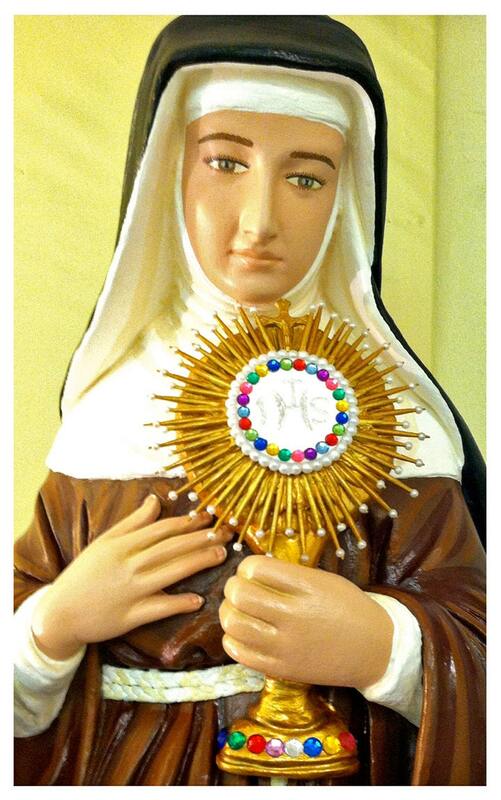 We will also touch a 1st class relic of St. Clare to your statue.